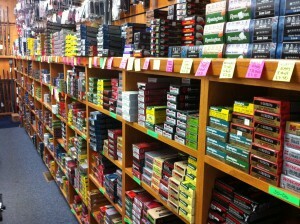 Keith’s Sporting Goods carries pistol, rife and shotgun ammunition for almost every application imaginable. Whether you’re looking for target rounds, hunting rounds, or self defense Keith’s Sporting Goods is sure to have what you’re looking for. We carry every major brand, below you can find popular brands and calibers we carry. If you’re searching for a specialty round that isn’t listed, give us a call as our selection is to big to list it all here. Ammunition is sold in store only. Due to the shipping cost, we do not ship ammo.